From sound studio to intensive care – at first this might sound like a medical emergency but there’s no need to be concerned about Earth Shy-T: The man who bears the name Örs Sajthy in day to day life earns his living, first and foremost, as a doctor. Now that he has established himself in this profession, he can finally devote himself to his second great passion: Music. 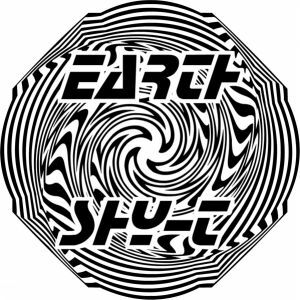 Earth Shy-T was born in Sopron, Hungary, in 1976 and came to Germany with his family in 1980. His musical career began at the age of four. ”I was supposed to learn piano“, Örs recalls. ”Unfortunately from a very strict teacher“, with pedagogically questionable teaching methods – she was prone to rapping her students authoritatively across the knuckles when they hit the wrong note – robbing him of his pleasure in the black and white keys for a while, but not of his pleasure in music. Örs began to play the clarinet, picked up the saxophone, played in several symphony orchestras and, at the same time, applied himself to jazz in a chamber orchestra. On top of this, in 1993, he discovered that music could also be made with computers. He produced his own first songs with ”the most primitive means“ and these attracted the interest of the producer, Andreas Leuck, who wanted to introduce the student to the legendary Frankfurter label Eye Q. However, completing high school and the question of how he would later make his living was more important to Örs at that time. He decided to study medicine. Music remained his hobby, along with clubbing at the hip venues of the Frankfurt scene.